Most of us buy life insurance policy as assurance, that our family will get replacement of income in case of unfortunate death. But we hardly consider insurance policy for the replacement of our income when we are alive. You must be thinking that what is need of replacing our income when we are alive? You have ever thought about circumstances where critical illness and disability arises for you? Or the possibility of an accident where you might end up not being able to earn the money that you were earning till now? You must be thinking that you have enough health insurance which will take care of this type of need. Yes health insurance will surely take care of your hospitalization or medical need but due to this critical illness if you are unable to work this may be financial death to you. If you have purchased critical insurance plan then Insurance Company will pay sum assured in a few days after the diagnosis of any critical illness specified. This amount can act as replacement of income in this situation. Insurance company will pay sum assured in specified number of days after the diagnosis of any critical illness specified in the insurance contract, ranging from 30 to 90 days. If a person dies in the 30-90 days waiting period, nothing will be paid by insurance company. 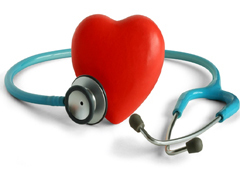 Before buying any critical illness plan you should look at the illness covered by the policy. Buy policy which is covering maximum number of illness. 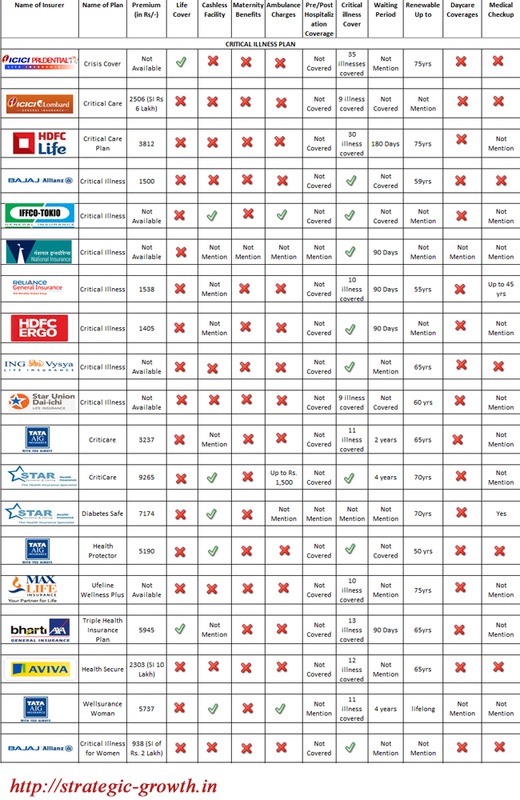 To help you we have made comparison of various critical illness policies available in market. Critical illness insurance is critical insurance you must look for. Some insurance companies provides policy with dual benefit of life insurance & critical illness rider. If you are planning to take life insurance policy or if you are under-insured, take a term policy with critical illness cover. If you are young and healthy, do not wait. Get adequate life and critical illness cover ensuring that neither you nor your family suffers from any kind of income loss. « Do you know how state government contributes to Inflation via VAT ?